Josh Groban and Idina Menzel Event homeCustomer reviews HamiltonThe PromNetworkTo Kill a MockingbirdKiss Me KateHadestownOklahoma! Why See Josh Groban and Idina Menzel? In a series of revelatory tweets in early 2018, Grammy Award nominated singer, songwriter, actor and producer Josh Groban announced a forthcoming North American tour with brand new material in tow. If that wasn't enough, Tony and Grammy Award-winning musical theater legend and good friend Idina Menzel will be joining him for the ride! Filled with hits from their solo careers as well as the broadway stage, this is sure to be a powerhouse show you won't want to miss. Praised for their unparalleled talent and versatility, Groban and Idina first crossed paths in 2008 when they performed alongside each other at Chess In Concert at the Royal Albert Hall in London. They have each traversed the worlds of theater, music and film, leaving their mark upon each industry. 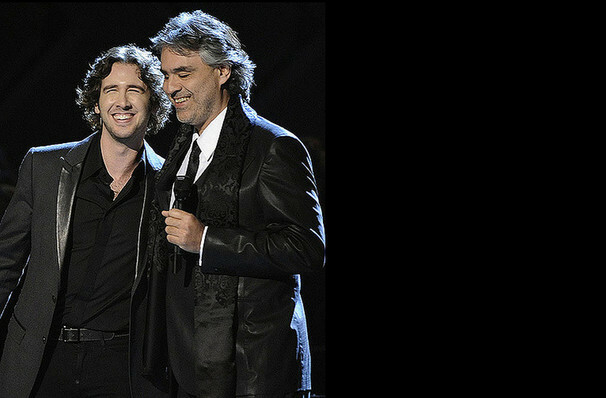 Groban's whirlwind career started out as an operatic pop music sensation, with many critics hailing him as the next Andrea Bocelli. His first four solo albums hit multi-platinum with a staggering 25 million records sold worldwide to date. Further appearances on TV shows like Ally McBeal, The Tonight Show with Jay Leno and the Super Bowl only served to strengthen his star power. In 2017 the performer transitioned to Broadway actor in the smash hit electropop opera Natasha, Pierre & The Great Comet of 1812. 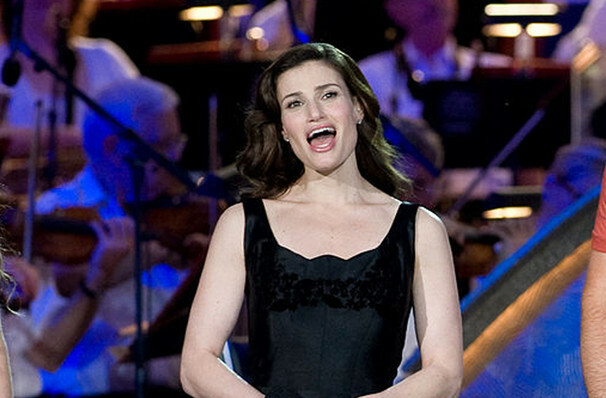 Menzel began her own stellar career with an original role in Broadway cult hit Rent, and its subsequent film adaptation, as well as a Tony-winning turn as the green-skinned Elphaba in Wicked. These roles paved the way for her foray into acting, with roles on popular TV musical comedy Glee and live-action Disney film Enchanted, before taking the film world by storm with her voice in the animated Children's classic Frozen in 2013. She has also released six studio albums of original material. Sound good to you? 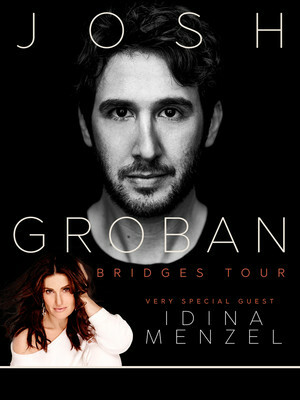 Share this page on social media and let your friends know about Josh Groban and Idina Menzel at Madison Square Garden. Please note: The term Madison Square Garden and/or Josh Groban and Idina Menzel as well as all associated graphics, logos, and/or other trademarks, tradenames or copyrights are the property of the Madison Square Garden and/or Josh Groban and Idina Menzel and are used herein for factual descriptive purposes only. We are in no way associated with or authorized by the Madison Square Garden and/or Josh Groban and Idina Menzel and neither that entity nor any of its affiliates have licensed or endorsed us to sell tickets, goods and or services in conjunction with their events.